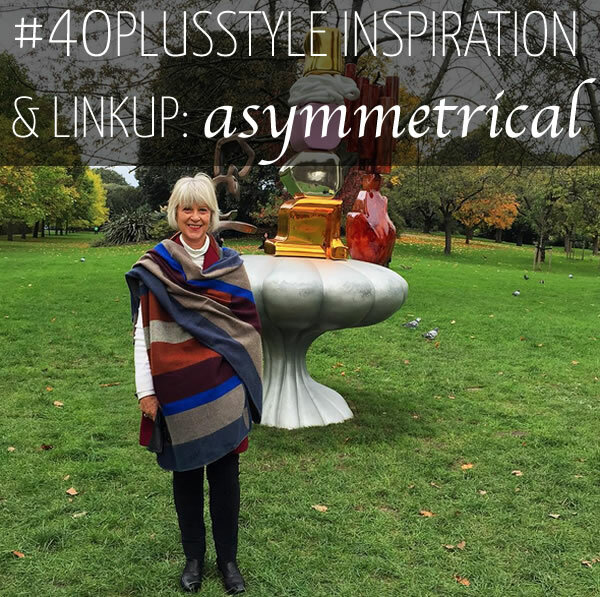 40+ Style » What you wore » #40plusstyle inspiration: asymmetrical – Which of these 8 looks is your favorite? #40plusstyle inspiration: asymmetrical – Which of these 8 looks is your favorite? Many of you know that I’m a fan of asymmetrical looks and these ones caught my eye this week. If you like to know more tips on how to wear asymmetrical clothes, you can find them here as well as a few lovely pieces currently available online. Enjoy this week’s looks and add your own through the linkup below! Meet my not so #everydaystyle fake one-shoulder-dress outfit for my friends birthday high tea. The dress is from a $10 pop up garage sale. It's actually a normal dress but I've converted it into a one-shoulder-number by using just three safety pins ➖ Wearing gifted earrings || old bracelet || @targetaus clutch (not current) || @freelanceshoes heels (not current) ..
Now I would love to see even more of your asymmetrical looks! Everyone can participate by adding their own looks. Just make sure you have an image on a page somewhere online. Link to your outfits with the simple tool below. They can be new or old, just make sure it’s an asymmetrical look. If sharing from a blog post, it would be great if you can link back to this page so other women can benefit from the inspiration too. If you are on Instagram, you also stand a chance to be featured here next week as one of my selected images or as the cover girl! All you need to do is follow me on Instagram and add the #40plusstyle to any instagrams you post. Please only use this hashtag for sharing yourself in your outfits only. It’s a fun way for everyone to easily browse through all the fabulous looks by 40+ women. Please note that there is no theme for these images (I like to be inspired by your images and spot a theme emerging from them)! I look forward to seeing all your asymmetrical looks! Love the dresses of Aging Disgracefully and Icadoo! Thank you so much for featuring my asymmetric wrap on your wonderful and very informative blog. I just could not resist taking a photo against the backdrop of the funky statue at the Frieze Art fair in London. Sylvia, such great asymmetrical looks! I unfortunately do not have any pictures of my own right now to share on the link up, but I wanted to thank you for always inspiring me! And I wanted to let you know that I have highlighted you as a great inspiration in my recent weekly post Little Bits of Inspiration! Oh my goodness! Love the purple on artfulcitystyle!! Bravo!! I want one! Many thanks again for featuring me in your Asymmetrical Showcase. It’s an honour to be amongst such innovative styling. Hard to pick, I like them all! I don’t have many asymmetrical pieces – tricky if you’re a petite. Sorry, totally forgot this. And I am suffering from an RSI shoulder. Not in a good place right now. Next post: Streetstyle inspiration: 70s Style – Which of these 7 looks is your favorite?